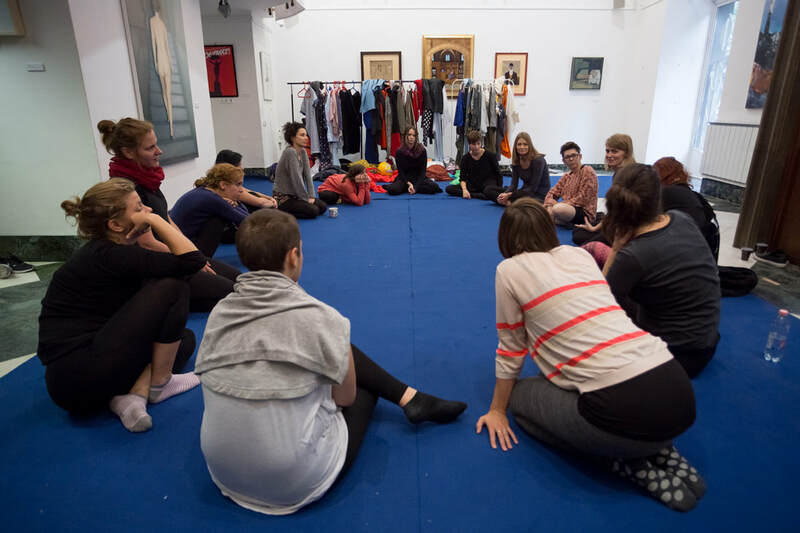 Anna Ádám both holds workshops as a pedagogical activity (in universities, high school, art institutions, festivals...) and as part of her artistic practice (in museums, galleries, art institutions, festivals...), called Workshop-Performances. Based on participation and collective creativity, Workshop-Performances have always an artistic outcome (installation, objects, photo series, performances...), that can be seen as both it's documentation and production. Following the Workshop-Performance, these art pieces generally remain in the space, and can be visited as an exhibition.